Congrats, UT Health Science Center at Houston, on winning the 2017-18 ROLL With It Competition! Keep reading to see how your team can take home the trophy at next year's Benefits and Human Resources Conference. The 2018-19 ROLL With It Competition. Top 5 Things You Should Know. 1. The competition has multiple phases (or mini competitions) lasting throughout the year. 2. Your office (as a team) will compete against all other UT institutions. 3. The WINNER of each phase gets a cinnamon roll breakfast for their office... and bragging rights amongst other institutions. 4. The WINNER of the entire competition will get presented with the ultimate bragging rights trophy at this year's Benefits Conference. 5. We asked UT FLEX members for their feedback (the good, bad and ugly) on their experiences so far to help us ROLL out the details of the competition phases for this Plan Year. Check out the tools we created for you and more details about the competition phases below. Phase 1-3. What you need to know. 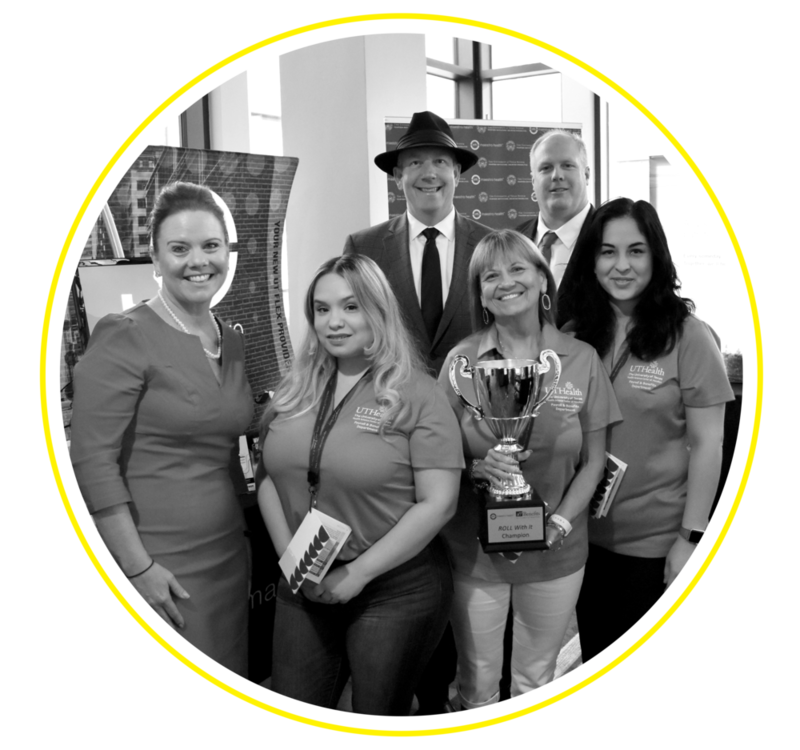 The ultimate goal: To be the institution with who wins the most overall Phases/mini competitions Or achieves the highest overall increase in participation to win the ultimate prize: A Roll with it trophy to show off at next year's benefits conference. Goal: Increase Maestro Health mSAVE™ Mobile app downloads. The institution who wins the most overall phases/mini competitions OR achieves the highest overall increase in participation will win the ultimate prize: a ROLL With It trophy to show off at this year’s Benefits Conference. ROLL With It Competition Materials. Important Reminder Materials for the 2018-19 Plan Year. 2018-19 Plan Year Enrollment Tools. Download our "UT FLEX Covers More Than You Think"